Puppies are cute and cuddly, and for the first few weeks of their lives their Mother was in charge of keeping them clean. As puppies get older they get into more adventures and often get themselves dirty, and require a little more help in keeping themselves clean. That’s where you come in, find out how to bathe a puppy for the first time, and how you can make bath time a success. When and How Often Should You Bathe Your Puppy? Puppies have the ability to easily get dirty. Most of the time you can get away with just wiping them clean with a damp washcloth or a disposable wipe, but sometimes they require a good cleaning, and that is when only a bath will do. 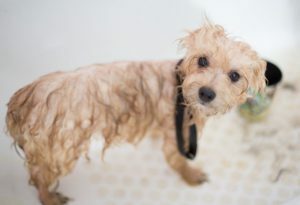 You will know when your puppy needs to have a bath, like when your puppy rolls in something bad like a dead animal or poop, or when your puppy smells or the fur feels grungy. Puppies can be bathed at an early age, even at 8 weeks old. If you start bathing your puppy early on, they will get used to the bathing process and it will be easier for your puppy to be groomed later on. How often you bathe your puppy is really up to you, but your puppy will not need to be bathed every day, in fact if you bathe your puppy too much it will do more harm than good. Bathing your puppy too frequently will strip away any natural oils, and will cause dry skin. I would suggest bathing your puppy once a week or once every 2 weeks to get your puppy used to the bathing experience. When your puppy gets older you can bathe less frequently, and only when necessary. Most dogs who are healthy and clean, only get bathed 2 or 3 times a year. It all depends on the smell of your dog, and if your dog has rolled in something nasty. Bathing your puppy for the first time can be a daunting task, but with a little preparation bath time can be a happy experience for both you and your puppy. First you need to decide where to wash your puppy, some puppies are small enough to be able to be washed in the kitchen sink, as opposed to a big giant bathtub that could cause your puppy to panic. Keep safety in mind when using the kitchen sink, as puppies are super slippery when wet and they could wriggle out of the sink and fall onto the floor and get hurt. You may wish to use a wash tub on the kitchen or bathroom floor as a safer alternative to the kitchen sink. If your puppy is too large for a washtub or the sink, then you can help get your puppy used to the bathtub by placing your puppy in the tub without any water, for a few seconds a few times a day. Reward your puppy in the tub with some treats. 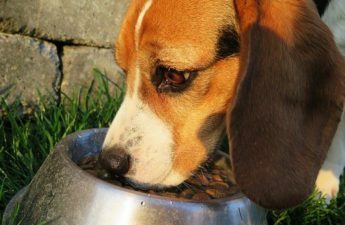 Take your puppy out of the tub, and turn the water on, this way your puppy can get used to the sound of running water. Everything is new to your puppy, so you will want to keep your puppy calm by speaking in a calm manner. The idea is to get your puppy used to the bathtub and sound of water running before actually having a bath. The worst thing that you can do is place your puppy in a tub full of water without ever experiencing the sound of water running or being in a bathtub. Your puppy will be scared and traumatized, and will associate bath time with a negative experience. Now that you have gotten your puppy used to being in a bathtub, and the sound of water running, you can actually go ahead and give your puppy a bath. If you follow the steps listed below, bath time for you and your puppy will be a happy and successful one. Before bathing, brush your puppy to get rid of any dirt, debris and any mats and tangles. Wet fur will only aggravate any tangles and mats in your puppy’s fur. Make sure to wear old clothes or an apron, because you will get wet when your puppy shakes. Decide where you will wash your puppy, the kitchen sink, a wash tub on the floor, or the bathtub. If you are using the kitchen sink or the bathtub, you will want to place a rubber mat on the bottom of the sink or tub to prevent your puppy from slipping and sliding around. Have all of your supplies on hand within reach, towels, shampoo, treats, plastic cup, or sprayer. You will need a shampoo that is specifically made for puppies or dogs. Never use a human shampoo as it is too harsh and disrupts the pH level in your puppy’s skin. Human shampoo will also sting your puppy’s eyes, if it accidentally gets into them. Oatmeal shampoo is a great choice, as it is gentle and moisturizing, and works well for dry and flaky skin. If your puppy is really stinky, you may wish to use a deodorizing shampoo. Puppies with longer fur can benefit from a conditioner as well, or a 2in1 shampoo and conditioner. If possible, choose a tearless shampoo. You will need to have one large towel on the bathroom/kitchen floor, one towel for drying your puppy off in the tub, and one towel outside of the bathroom on the floor for when your puppy runs out and rolls on the floor. A total of 3-4 towels is what you will need. If you are bathing your puppy in the kitchen sink, you can use the kitchen sprayer to wash and rinse your puppy. A hand-held shower spray works really well in the bathtub. If you do not have a sprayer to use, a good idea is to use a plastic measuring cup to wash and rinse your puppy. Have a few treats on hand to give to your puppy before, during and after the bath. Treats are a good way to offer your pup distraction, and reward for good behavior. Bathing your puppy for the first time will be easier if you have someone who can help you. An extra person will be able to help keep your puppy calm, and help to prevent your puppy from trying to jump out of the tub. An extra pair of hands will also speed up the whole bathing process. Before your puppy goes into the tub, fill the tub with lukewarm water, you can do the elbow test to make sure the water is not too hot or cold. Do not fill the tub full, just enough water for your puppy to stand in, it can be level to your puppy’s knees. Use a plastic cup to wet your puppy, or a hand-held sprayer set on low. Your pup may get spooked by spraying water, so it is important to only use a low setting. Slowly wet your puppy down, avoiding the face, and keep the sprayer close to the fur to soak it. Apply a small amount of shampoo onto the wet fur and lather. Re-apply shampoo as needed, and be sure to avoid getting shampoo and water into your pup’s ears and eyes. 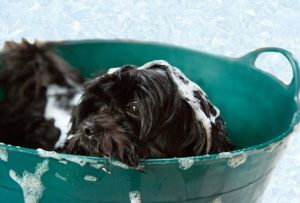 Make sure to rinse your puppy well, using lukewarm water, you will want to make sure that all the shampoo is rinsed out. Any shampoo left in the fur can cause dryness and itching, and possibly an allergic reaction. It is best to rinse twice if possible. During the bath your puppy will probably try to jump out of the tub, this is where another pair of hands is helpful to reassure your puppy and to offer your puppy treats to keep him in the tub. After you have rinsed off your puppy, be sure to place a towel on your puppy and dry as much water as you can to prevent any water splashing when your puppy shakes. If your puppy has not jumped out of the tub yet, pick your puppy up out of the tub and start drying him off. This is the fun part for your puppy, your puppy will love to be dried off, and will try to run away with the towel, and engage in a game of chase and tug of war. Your puppy will run to the nearest spot and will shake and roll around on the floor to dry off. That is why you have placed an extra towel just outside the bathroom on the floor. Here is a short 2:11 min. video of a cute 9 week old Golden Retriever having a bath. Hopefully your puppy’s first bath was a happy experience, and your bathroom or kitchen doesn’t look like a water bomb exploded. Make sure to praise your puppy and offer treats, that way the next time you bathe your puppy, your puppy will be able to tolerate the experience even more. Puppies with short coated fur will dry quicker than those with long fur, and you may wish to use a blow-drier to dry your puppy. You will want to use the blow-drier on a low setting, and warm not hot. If your puppy is okay with the noise of the blow-drier, then use it, if not let your puppy air dry in a warm room. Make sure that your puppy is completely dry before allowing him outside on a cold day. Puppies get chilled easily and can become sick. With a little preparation and slowly introducing your puppy to the sights and sounds of a bath, your puppy’s first bath can be happy and successful. Bathing your puppy too often is not recommended, but you will want to get your puppy used to the bathing experience. If you bathe your puppy every couple of weeks when they are young, they will be much more tolerable of it, and certainly bathe your puppy when needed, just don’t overdo it. Most of the time your puppy can be cleaned with just a damp washcloth or wet wipe. When you must bathe your puppy, remember to have extra towels on hand, and only use a shampoo meant for dogs. Was your puppy’s first bath a success? Please share your comments below, I would love to hear from you. needed for giving my puppy her first bath. I am so glad I found this website First Time Dog Mom. Thanks for your comment. I am glad you found my article helpful, and I hope your puppy’s first bath is a success. Just thinking about bathing animals in general brings me a smile. Puppy baths are the best when you integrate, as you suggest, the step by step process. Not only is it super cute but, it can actually be fun too! Taking the fear out of bath time is huge. I mean…let’s face it…you are both still going to get wet but, it doesn’t have to be a traumatic process. I agree that bathing a puppy is super cute, and it doesn’t have to be a stressful time if you take the proper steps. Starting young is the key to success, and bathing your puppy regularly will allow your puppy to get used to the bathing experience. Thanks for this educative piece. Puppies are cool domestic animals. Learning how to bathe a puppy is fine. Like me I’m just thinking of going into the dog business. I have learned from this article the economic importance of bathing a puppy. 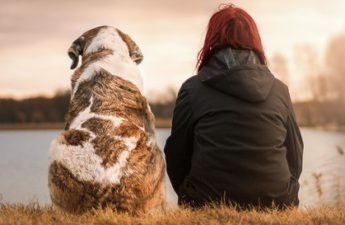 The more care we give to our dogs the more rest of mind we have. Learning how to wash my puppy was well explained in this article. Thank you for commenting. I am glad that you have learned something from this article, and I wish you all the best in your dog business. Thanks, I enjoyed your post and all your tips and suggestions are bang on. My wife used to groom dogs as a side gig, and the suggestions for your pups first bath from slowly introducing the dog to the bath , using tear less shampoo, and having an extra set of hands will make your dogs experience so much more pleasant. Thank you for your comment. I am glad you enjoyed my post, and found my tips and suggestions helpful. Wow! What an excellent tutorial on how to bathe your puppy. After reading your post, I feel confident that I could accomplish the task with no problem. Since you have a Golden Retriever, at least it should have been fairly easy to get the puppy used to being in water. I am sure that if your followers need instructions for puppy bathing, they will find your post to be just what they needed. Thank you for your comment. I must admit that having a dog that loves water has made bath time much easier, my dog Ellie does not mind being bathed. However, I do believe that introducing any puppy to their first bath in a positive way will make bath time an enjoyable experience, or at least a tolerable one. Nice post and thanks for sharing this. It is always a small challenge to bathe your dogs. Big or small dogs can sometimes give a small fight when it comes to baths. I have 3 Huskies and bathe them one by one. I give them ample space and bathe them with a hose and then use lots of dry towels. I did see some product called Woof Washer on “As Seen on TV” for bathing dogs. Any comments on that product. I do bathe my dogs every 3 weeks as they live with me on my Property and do not get that dirty or play in the mud. I live in Panama City and once in a while the Vets have an offer to bathe the dogs for $7 each so I do that sometimes. I will check out the shampoo that you are recommending. Luckily my Huskies did enjoy baths when they were puppies. Thank you for commenting. It sounds like your 3 Huskies don’t mind being bathed, and I think it is a great idea that your Vet offers dog baths for $7 dollars. That is a good deal, and allows you to have a break from washing your 3 dogs. You mentioned Woof Washer, I wasn’t familiar with the name but I looked it up on the internet and recognized the product. I myself have never used it, and on first glance it looks like the stream of 360 degree water is very light flow. To me it seems like the water pressure wouldn’t rinse shampoo out very well, or soak your dog very fast or well. That is my impression at first glance, but I would have to look into it further. Thanks for bringing it to my attention. This is a great article on the best way to prepare yourself and your dog for a bath. I now know why it is such a stressful job for both me and my mutt. Your article explains well how to get your dog to enjoy the bath from it’s first one. This has been an eye opener for me. My dog often times will take off after the bath only to return having rolled in cow manure, so i’ve learnt to initially go out of the yard. Is this a normal practice of dogs? Regardless this post makes dog washing much more enjoyable than it has been for me. Hi Paul, thanks for your comment. Bathing a dog can certainly be stressful, if you are not prepared in advance, also if your dog is not used to being bathed. It is very important to introduce bath time to your pup in a positive and happy way, never force your pup to do something they do not want to do. It is very normal behaviour for a dog to roll in something stinky after they have been bathed. They do this to mask their scent, and get rid of the weird clean smell. Just make sure to completely dry your pup off after a bath, because dogs will try to dry themselves off on anything they can find, be it your couch, floor, grass outside or whatever else.